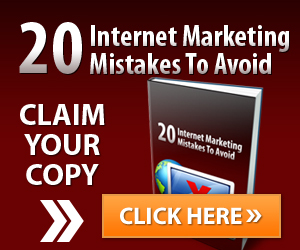 20 Internet marketing mistakes to avoid. Are you avoiding the use of blogging? It's a big part of content marketing to attract new leads and sales. Are you avoiding the real world and not connecting with others? One mistake to avoid if you don't just want to sound like another salesman.